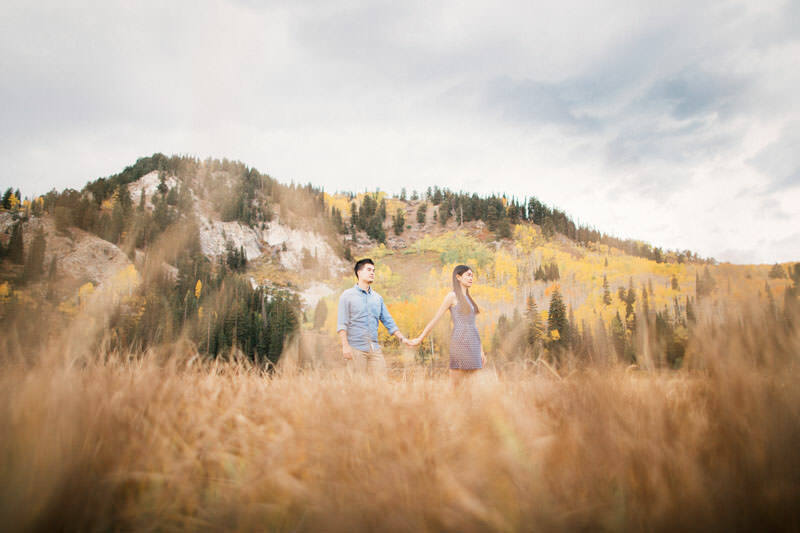 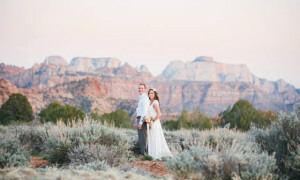 Silverlake is one of the most beautiful spots in Utah for engagement photos! 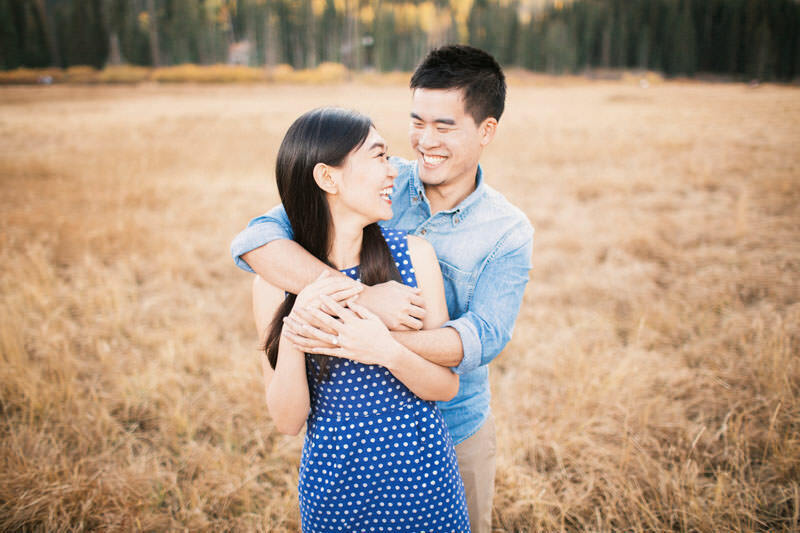 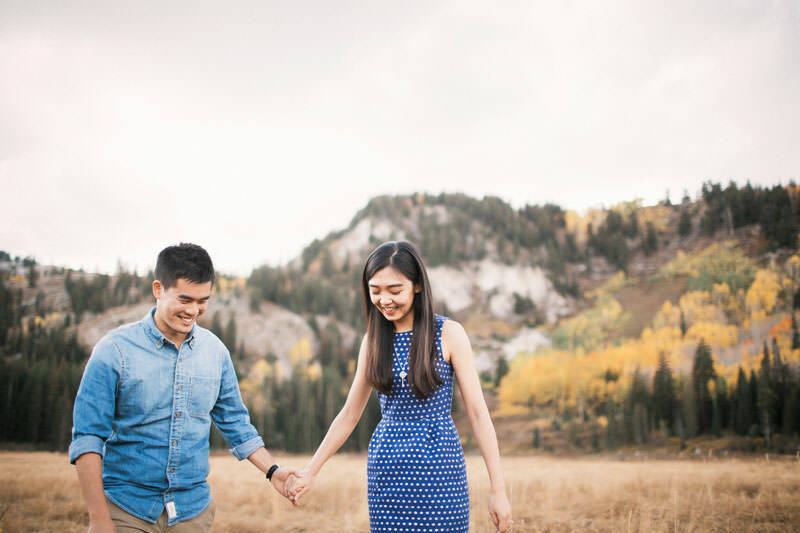 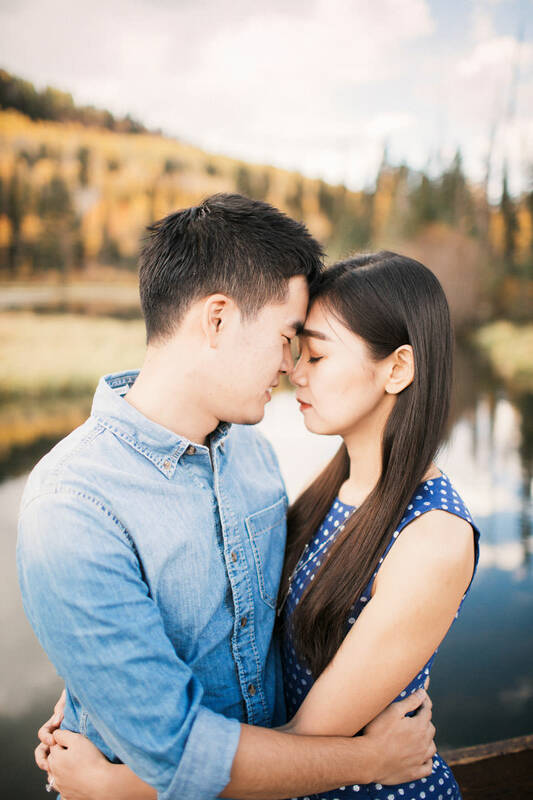 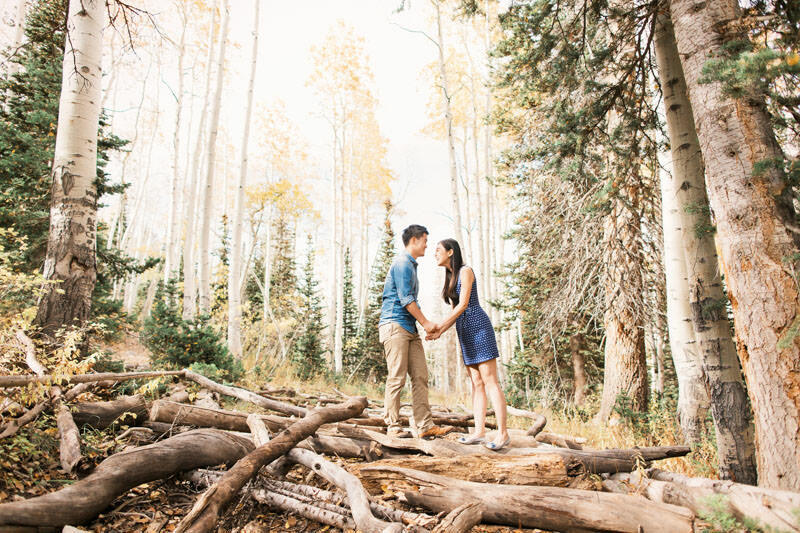 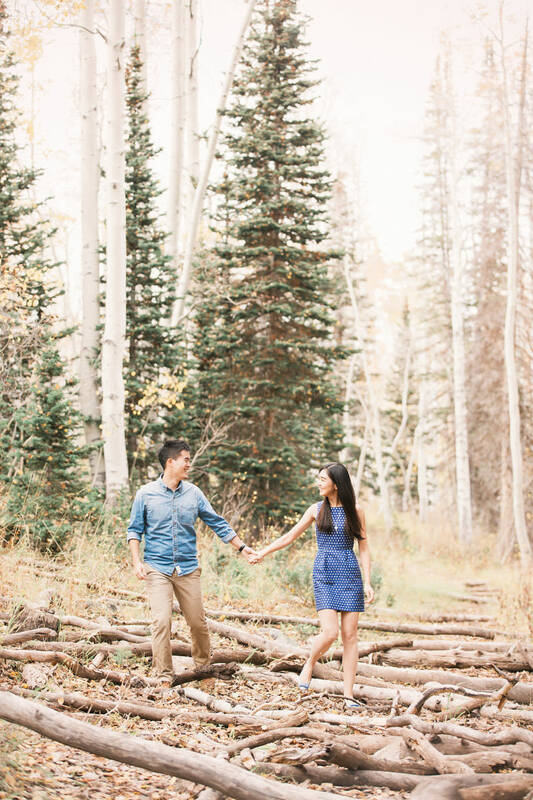 Before heading to the Utah State Capital for engagements, I started with Andy and Lin at Silverlake. 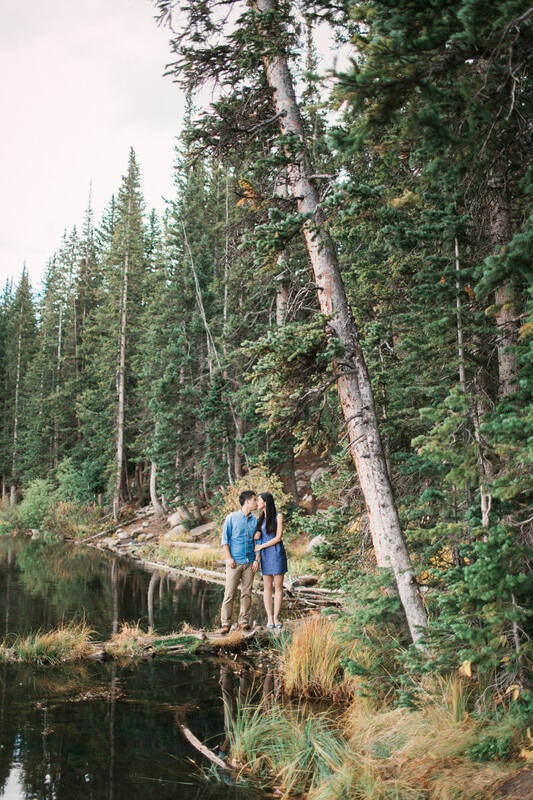 Silverlake for engagement photos, is an absolutely stunning area in the mountains. 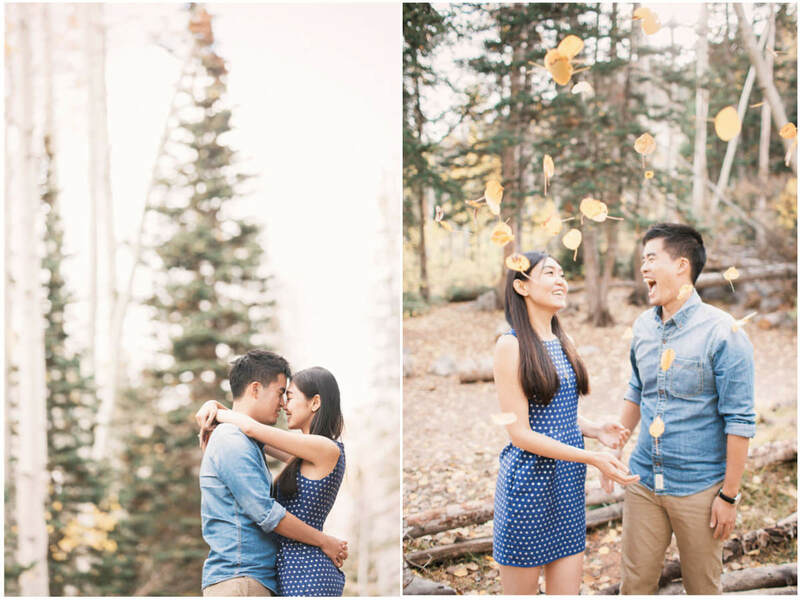 The fall colors were just wonderful and the weather was lovely. 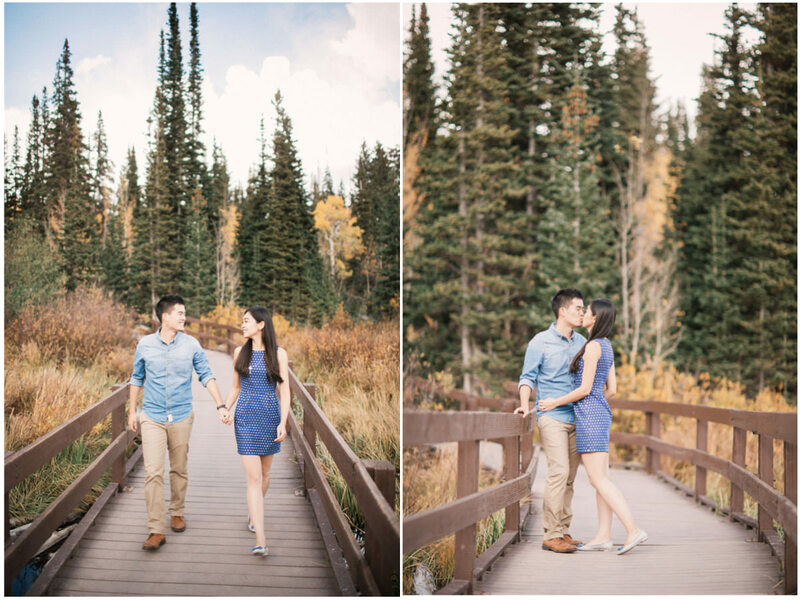 I love fall engagement sessions in the mountains! 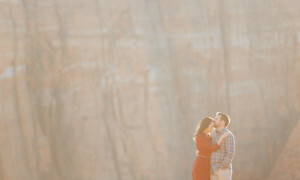 The wonderful textures and colors make stunning backdrops. 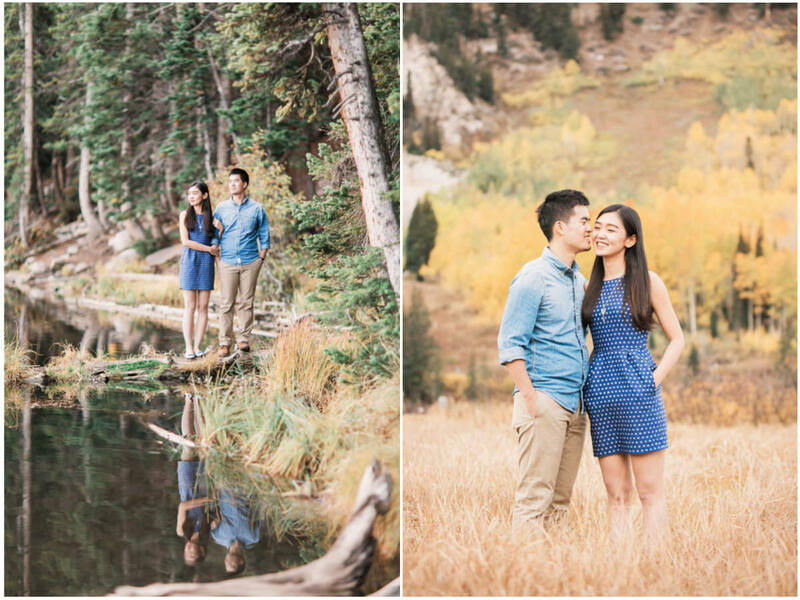 I had such a great time getting to know Andy and Lin during our time photographing their engagements. 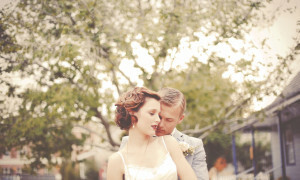 These two have such wonderful chemistry and were so great. 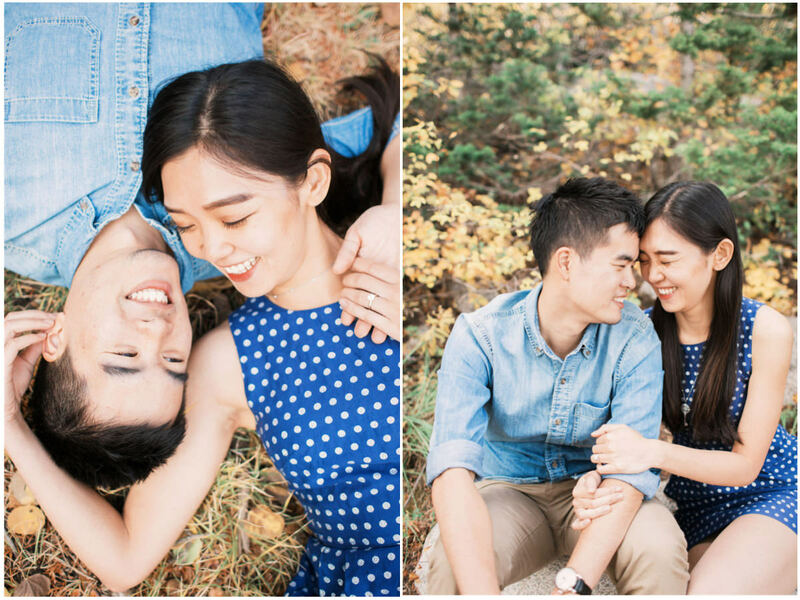 Silverlake Engagement photo sessions are the best! 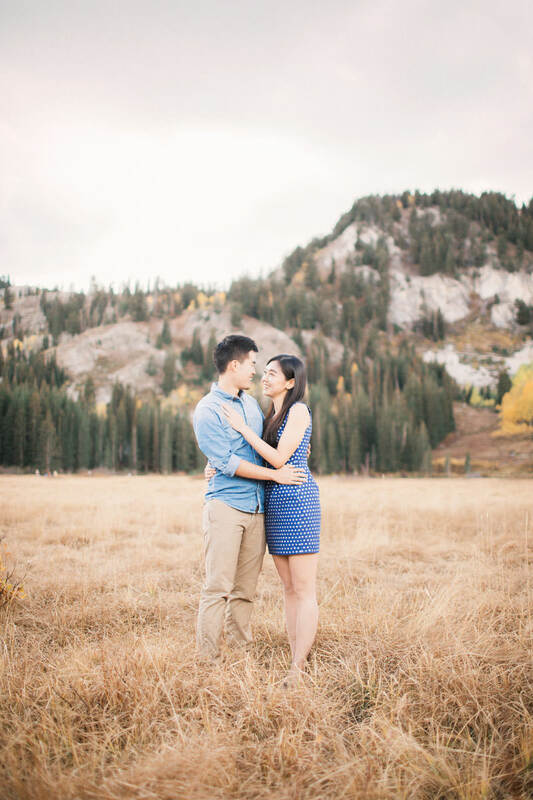 I really enjoy getting to know couples in a light and stress free environment. 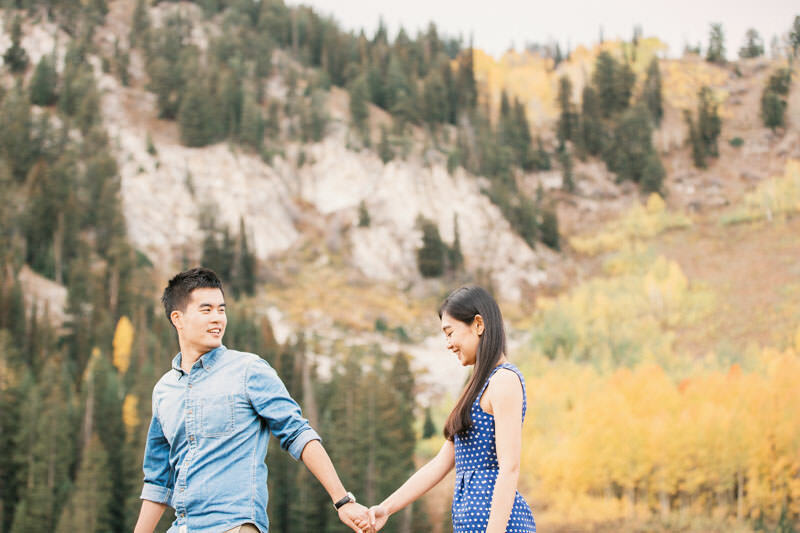 The casualness of the sessions and the bonds we form make for an awesome time. 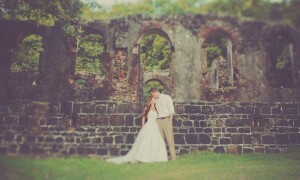 It makes the wedding day experience that much more enjoyable. 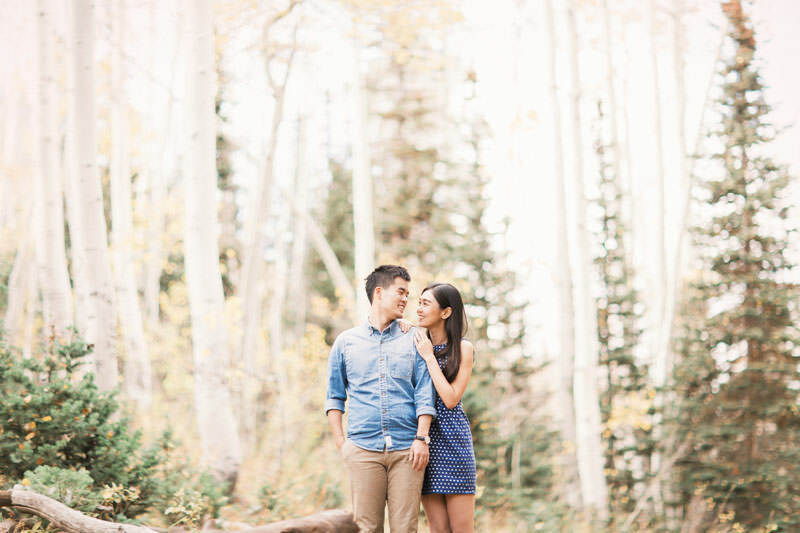 There is something about having broken that ice and being so much more comfortable in front of the camera. 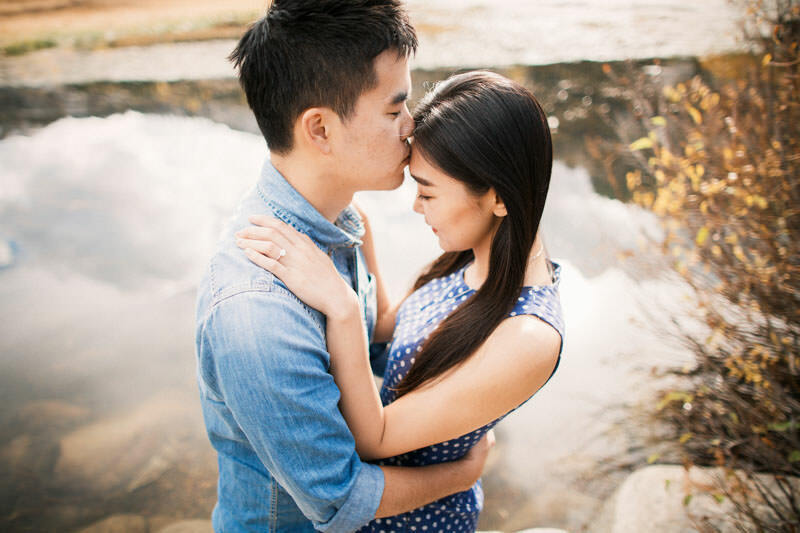 Having a casual and fun engagement session is a must! 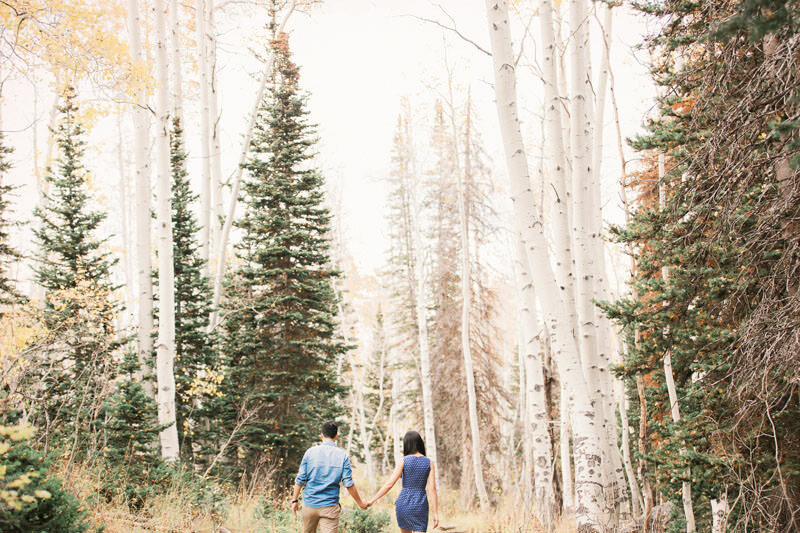 When hiking around areas like Silverlake, all stress seams to disappear. 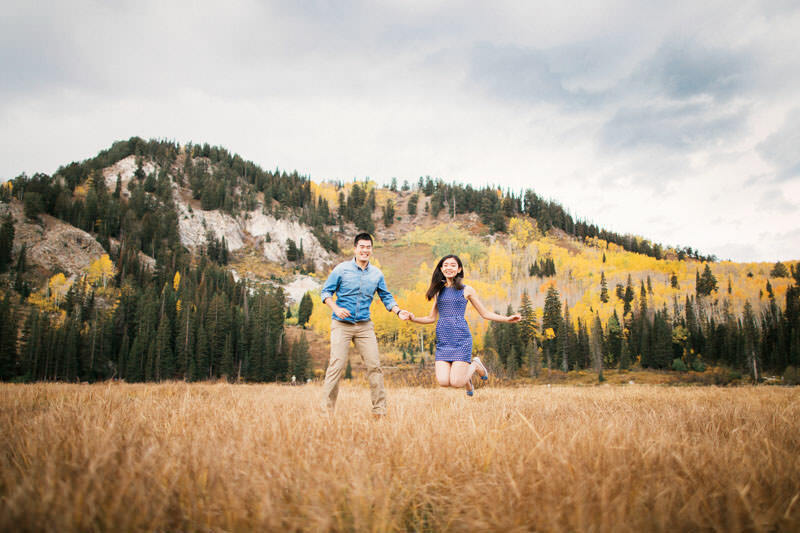 We have a lot of fun which makes capturing those candid moments easy! 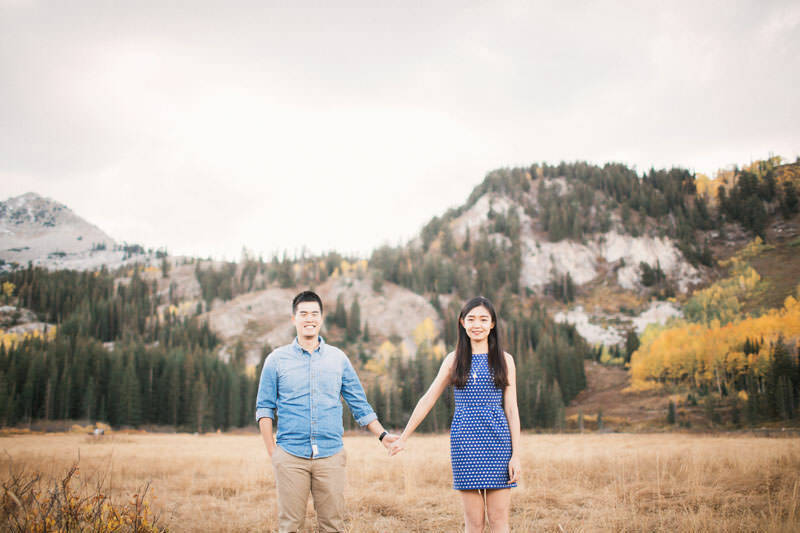 Im really looking forward to Andy and Lin’s wedding later this year in the SLC area.